Happy Wednesday from the 'Essential' Team! You’ve been brought here by our Wisdom Wednesday, thanks for scanning our QR code! For those of you who have smart phones, which are iPhones, Blackberry or Androids etc, you can use your ‘app stores’ and download a free piece of software. Search for ‘barcode scanner’ or ‘QR Reader’. I can recommend AT&T for an iPhone but other readers are available. The possibilities are endless. 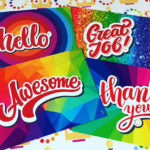 If you’re using different images on your cards, you may want to include a QR code which will take someone straight to the relevant page on your website. Or you can direct people to a special offer or event. To create the code itself, I often use qrstuff.com, but again, other QRC Generators are available. 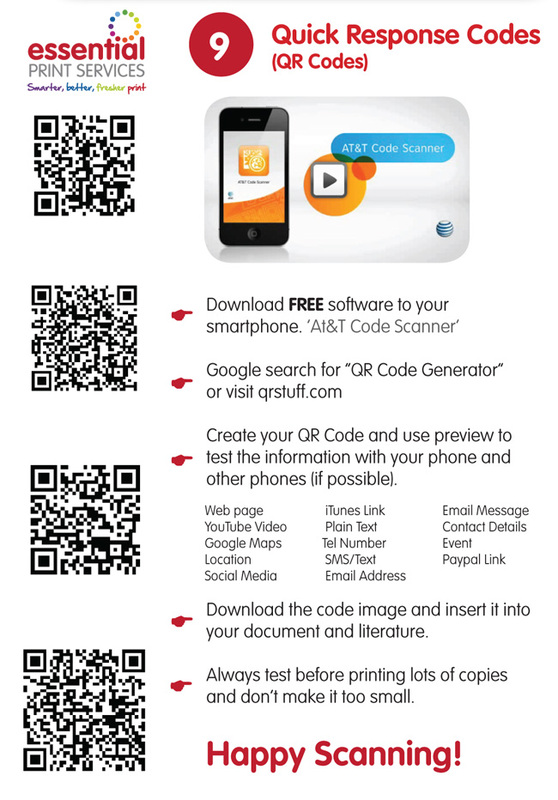 For more information on how QR Codes work or to use your QR Reader to scan the QR Codes above, download my FREE Business Card Info Sheet. Happy scanning!